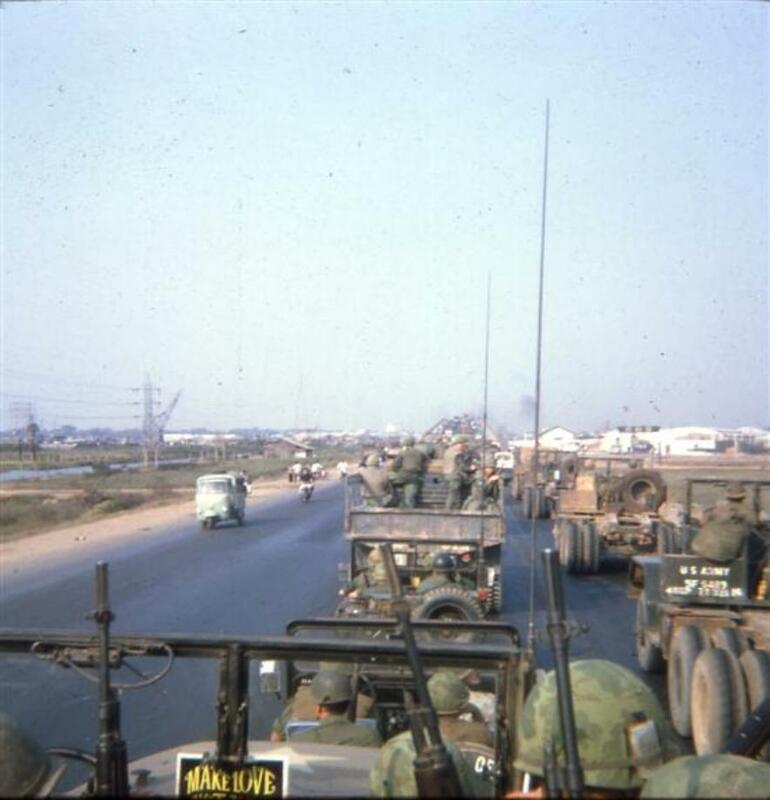 567th Transportation Company and then finally the 154th Transportation Company. 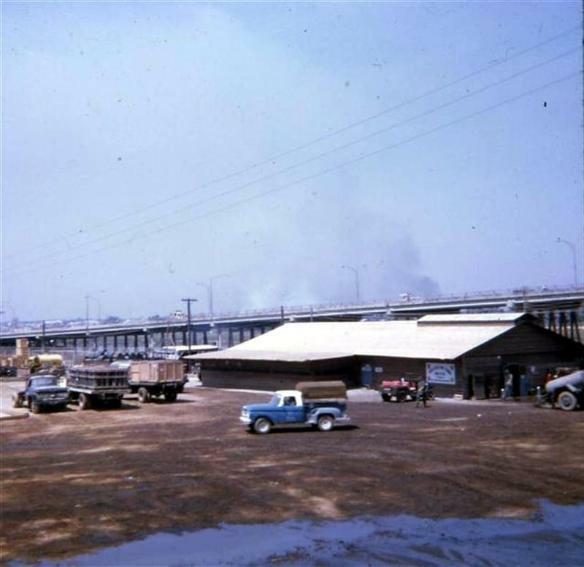 1968. 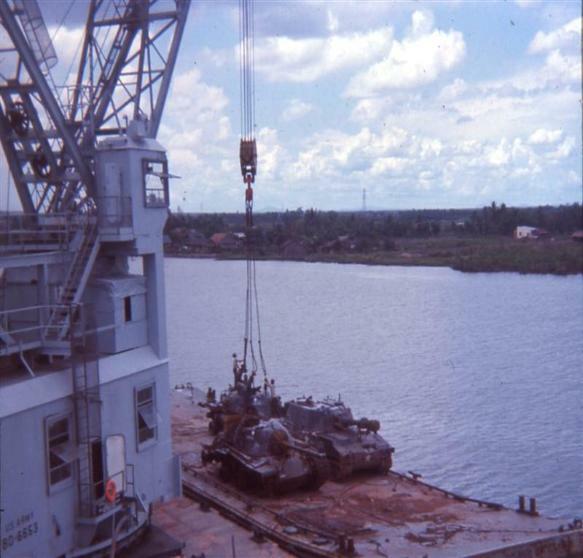 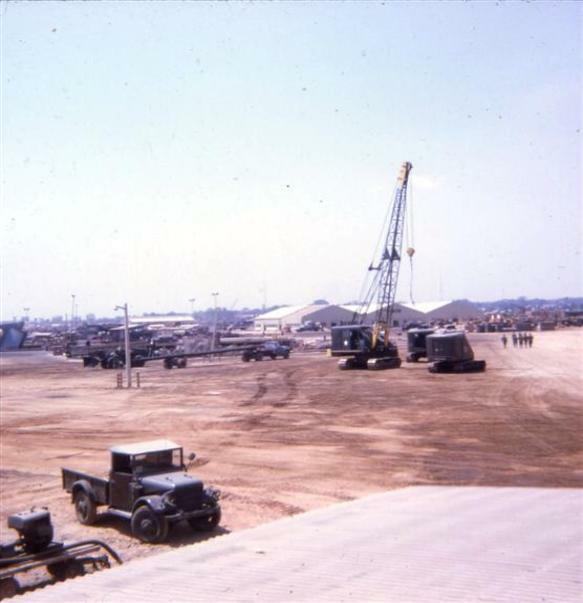 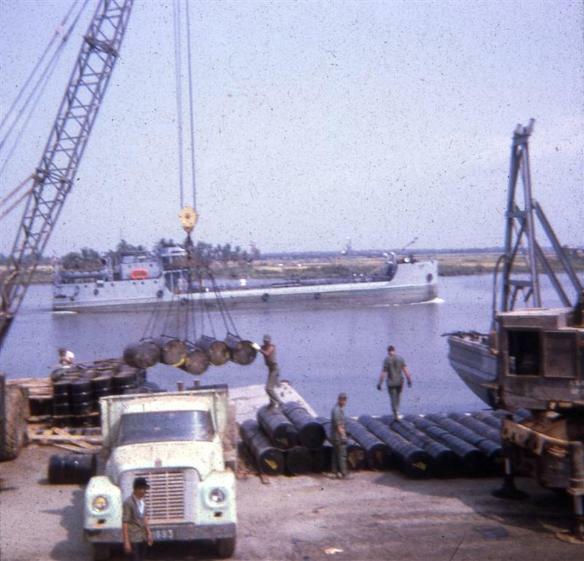 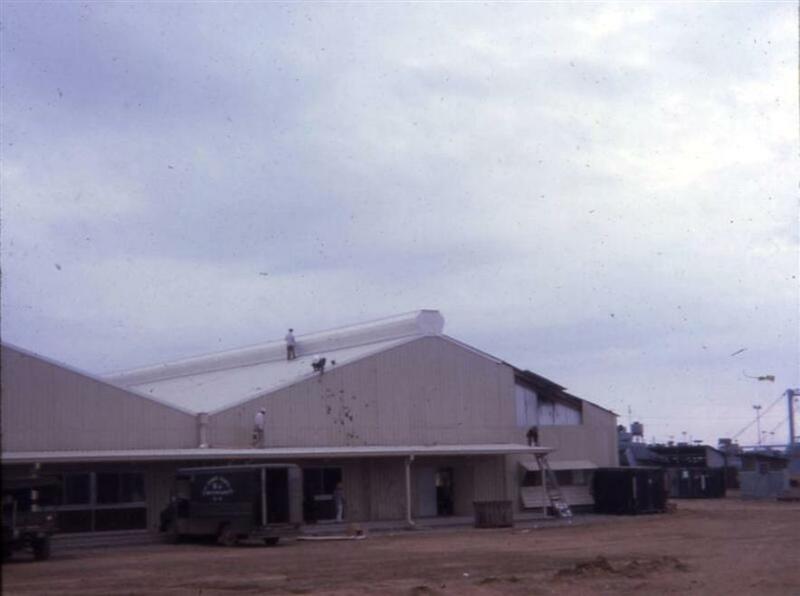 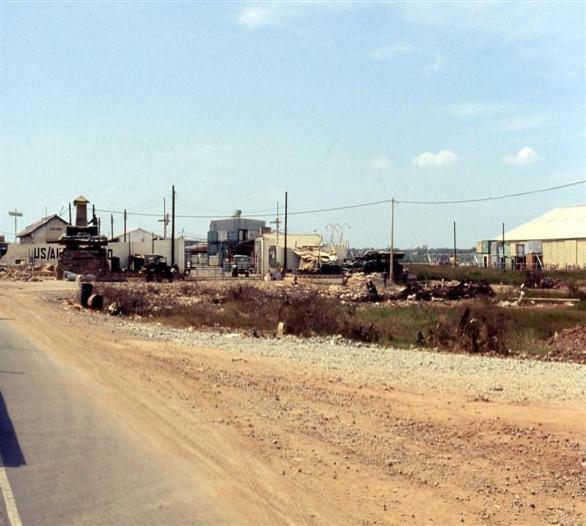 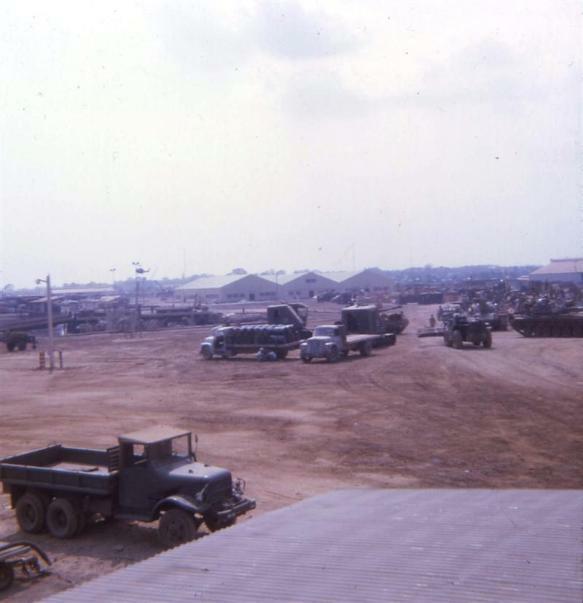 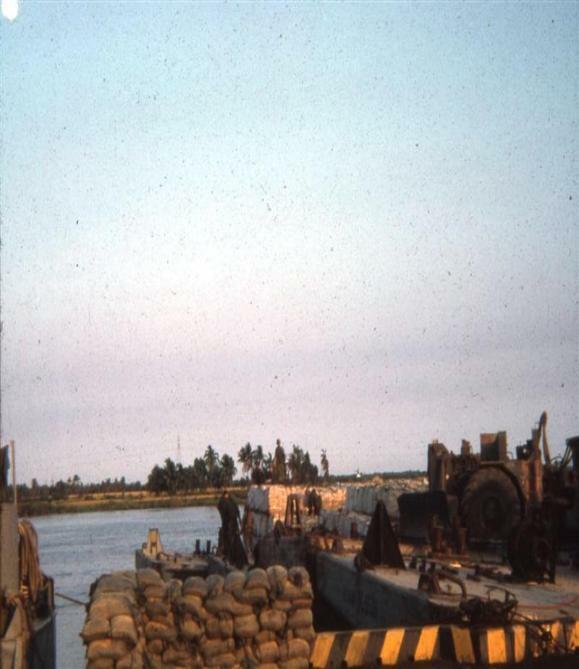 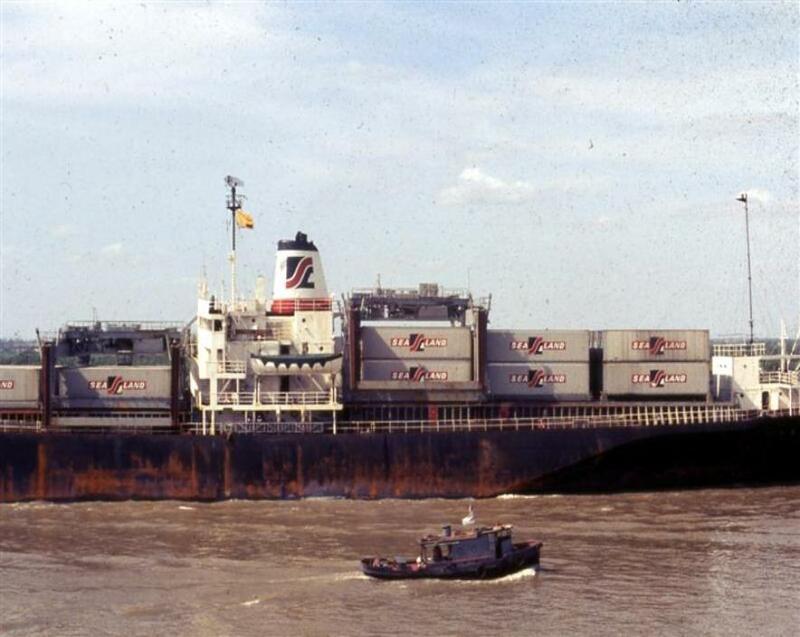 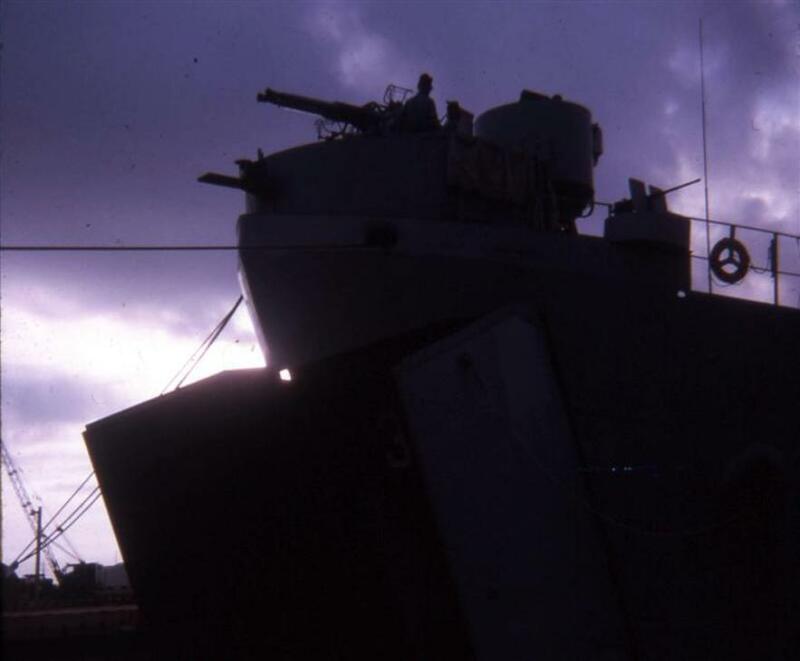 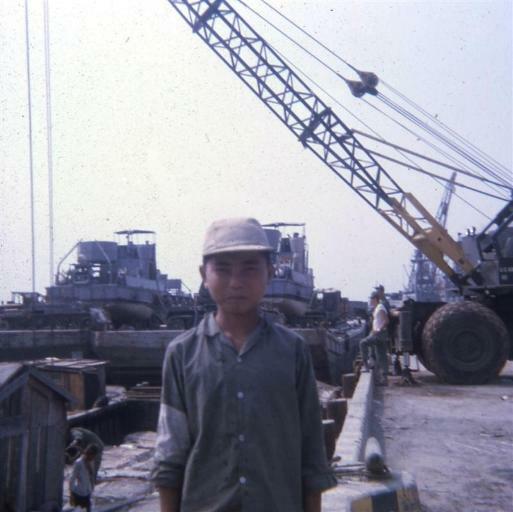 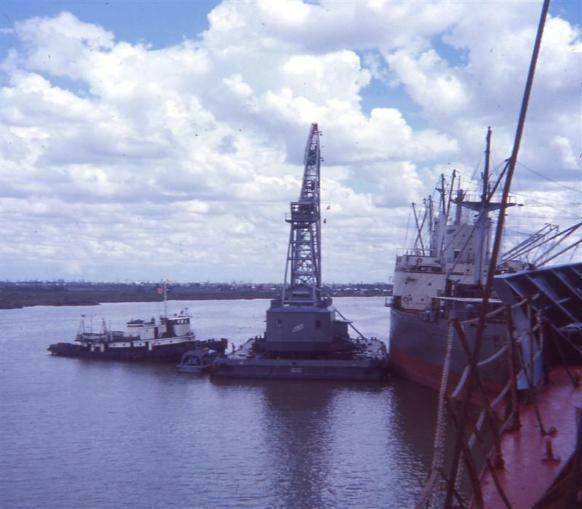 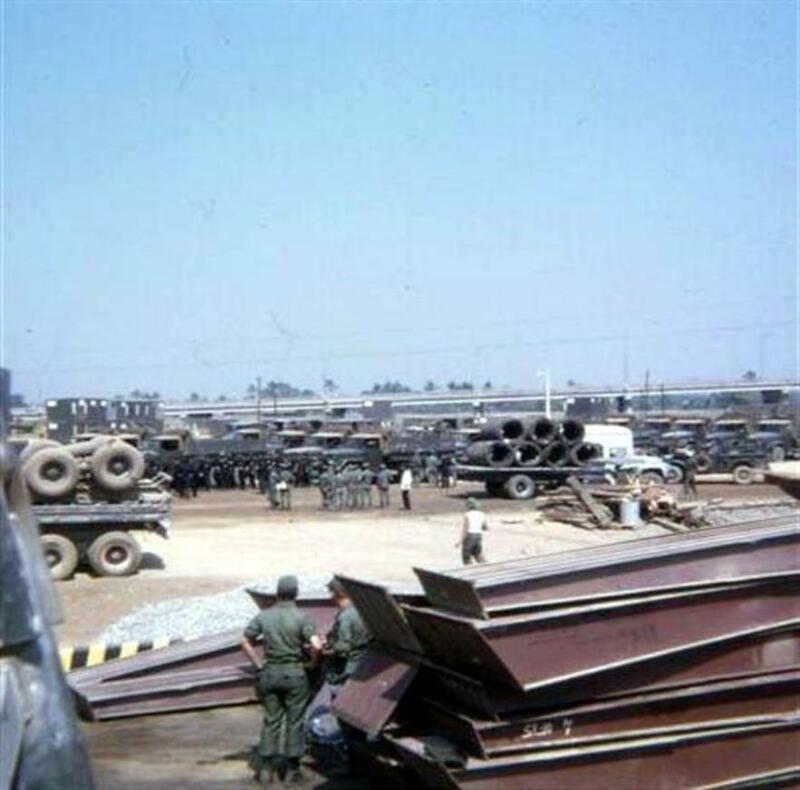 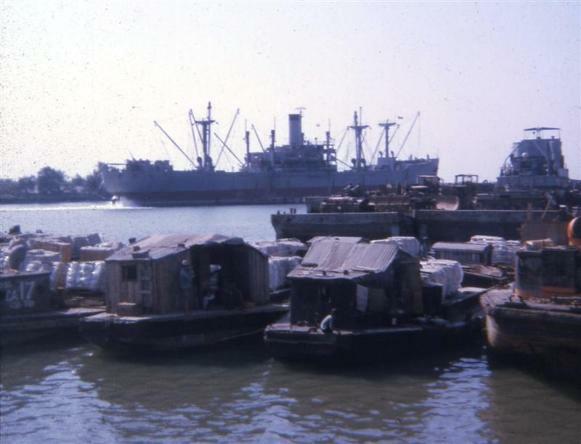 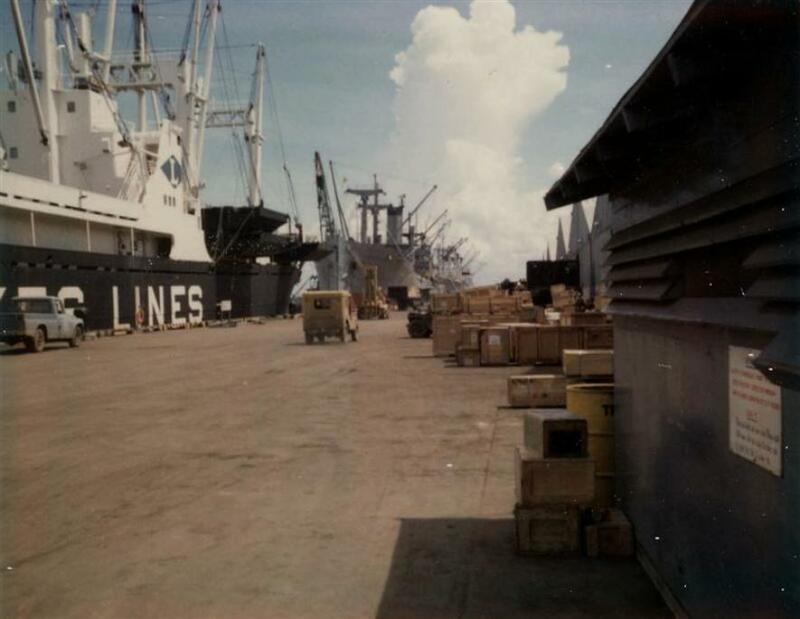 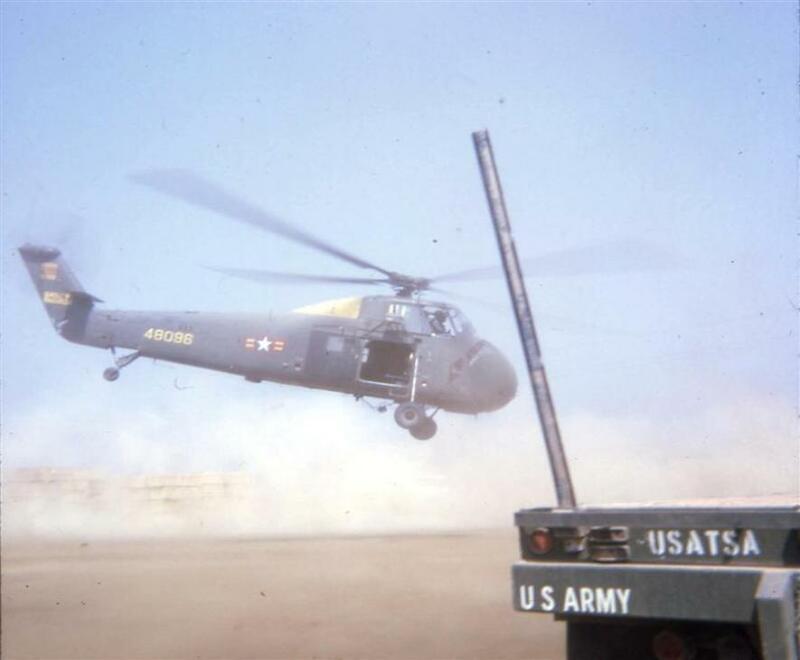 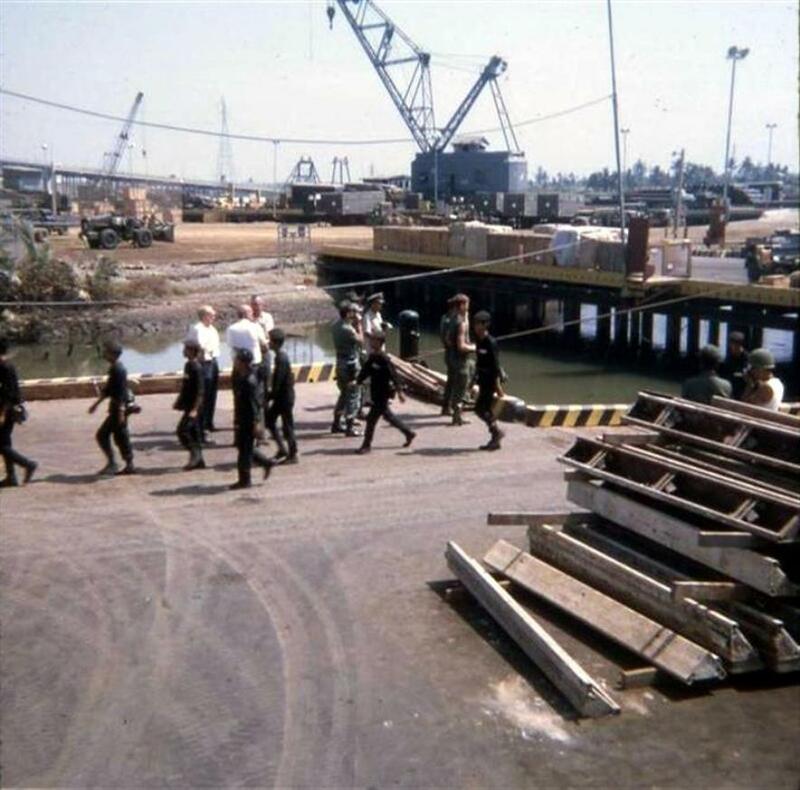 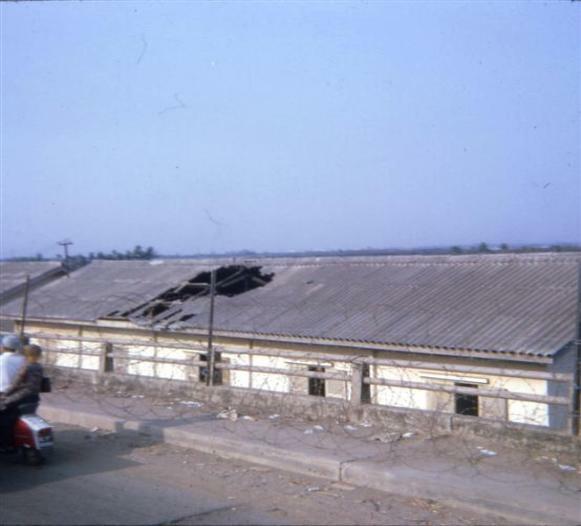 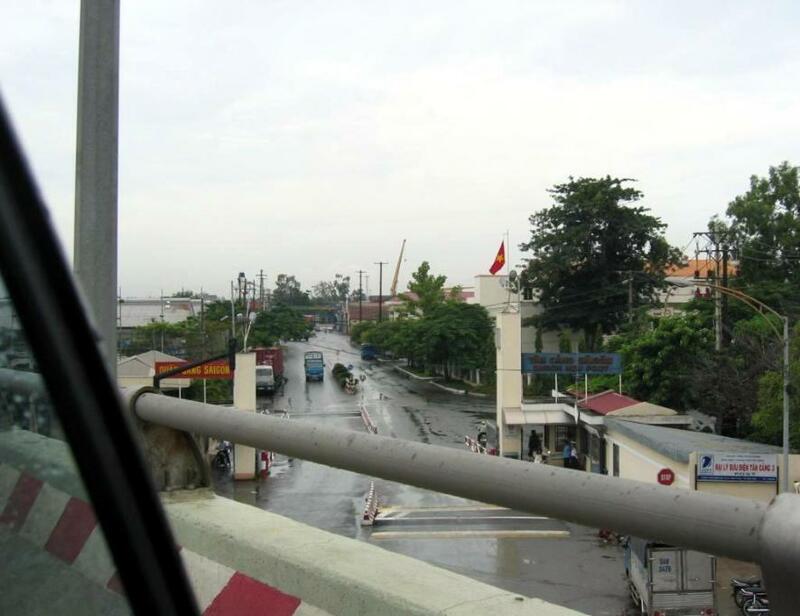 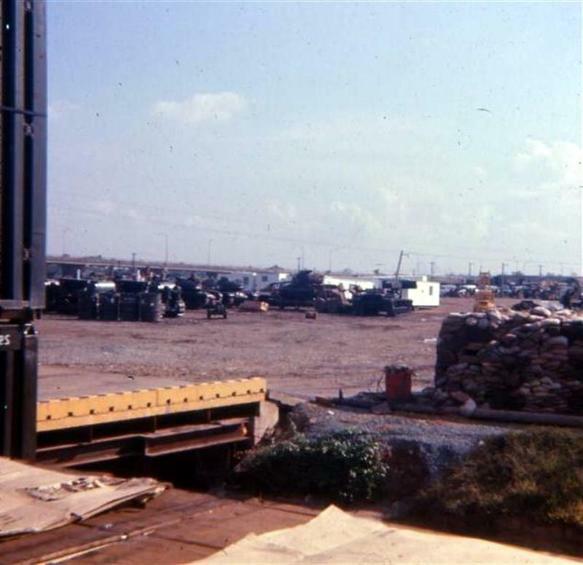 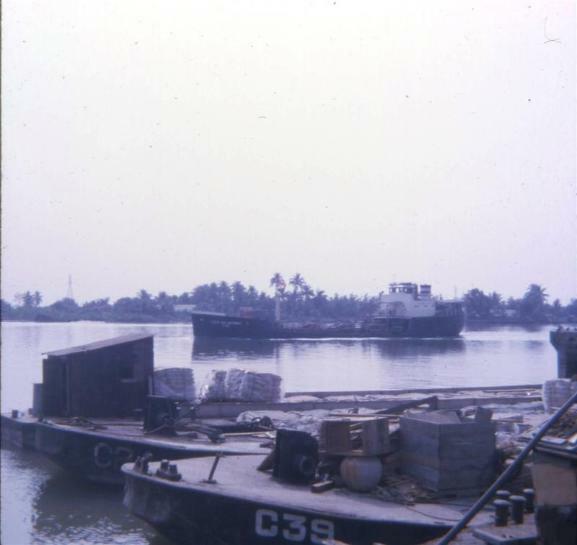 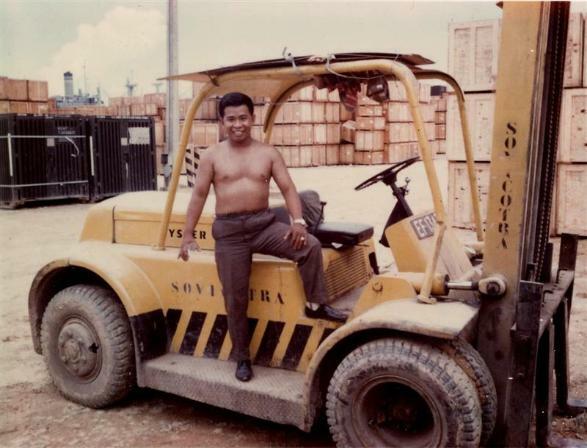 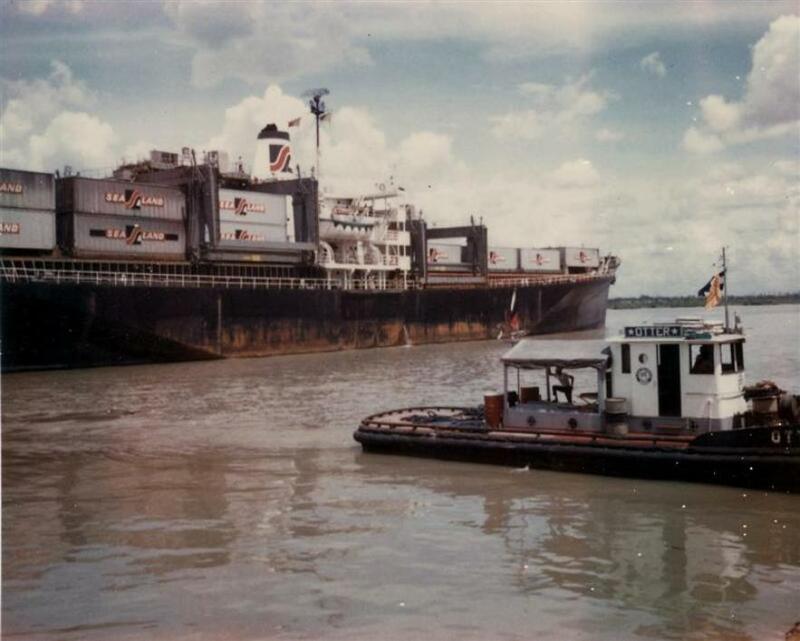 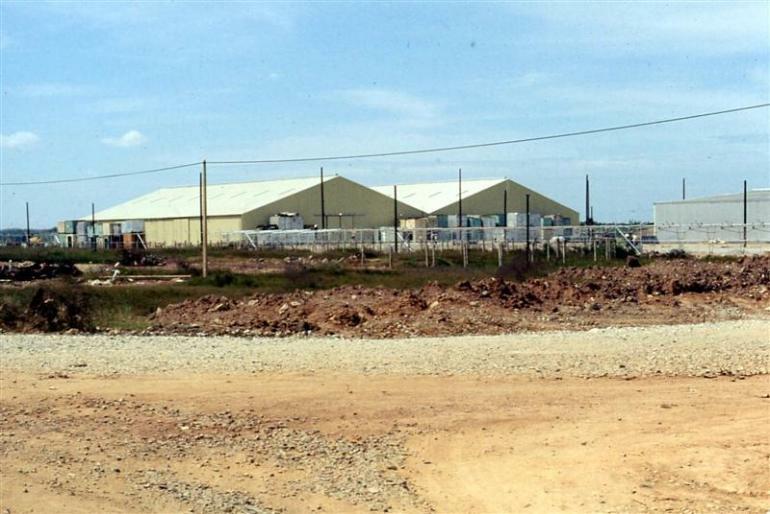 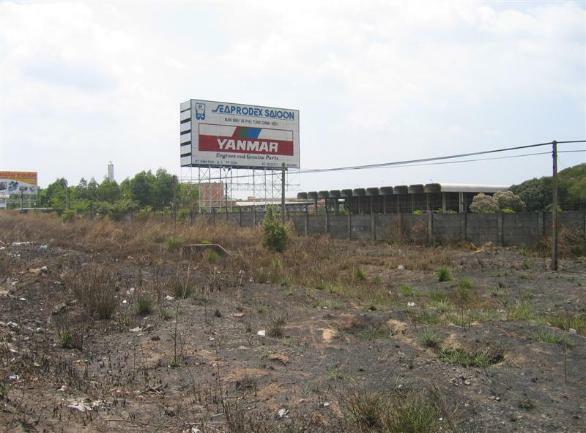 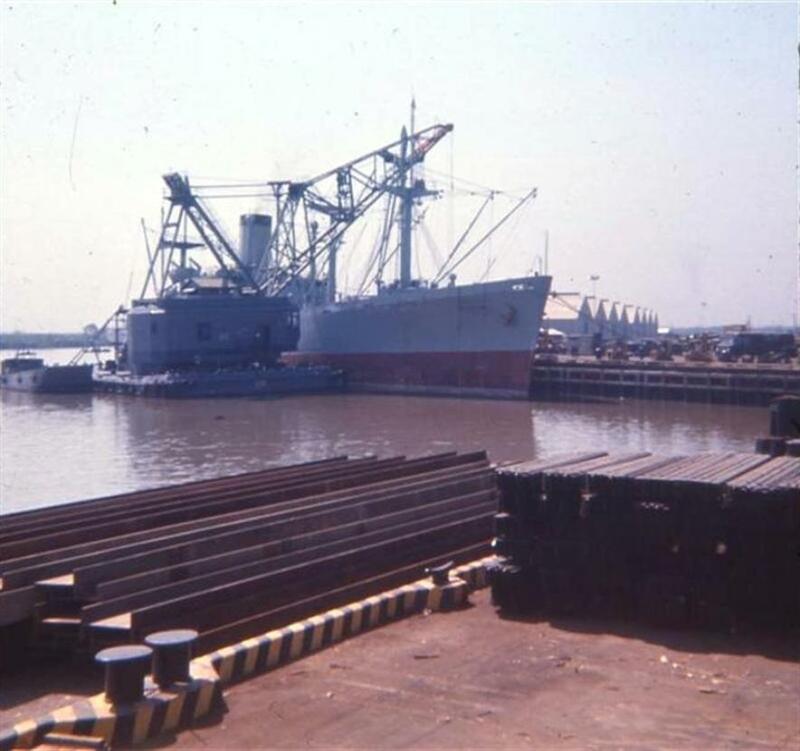 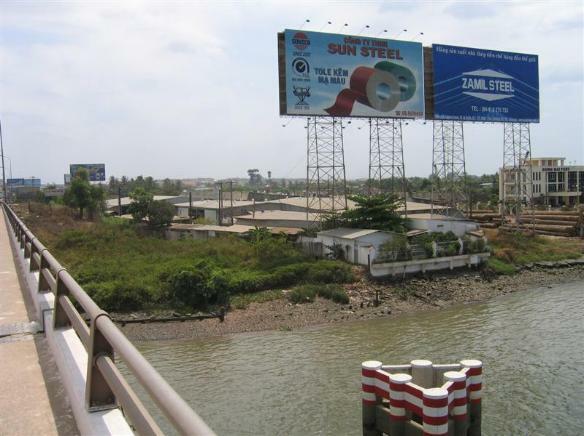 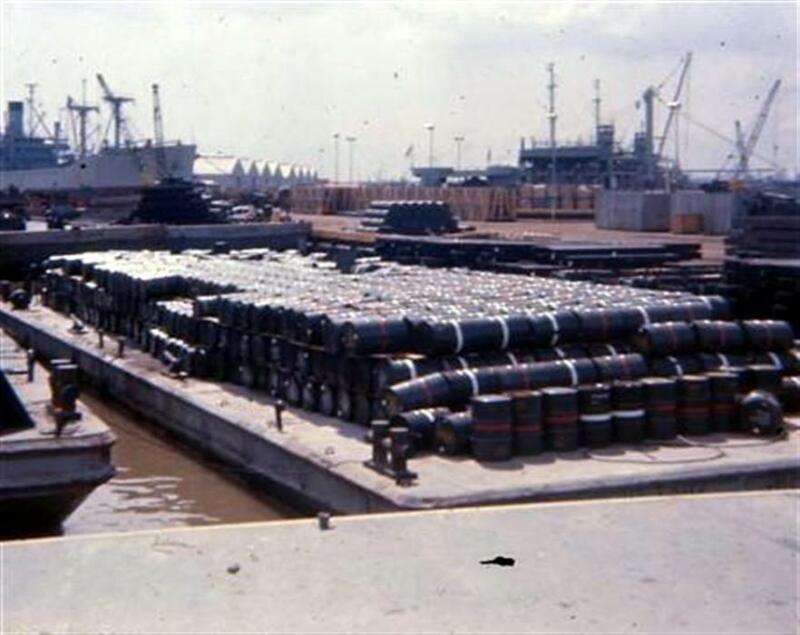 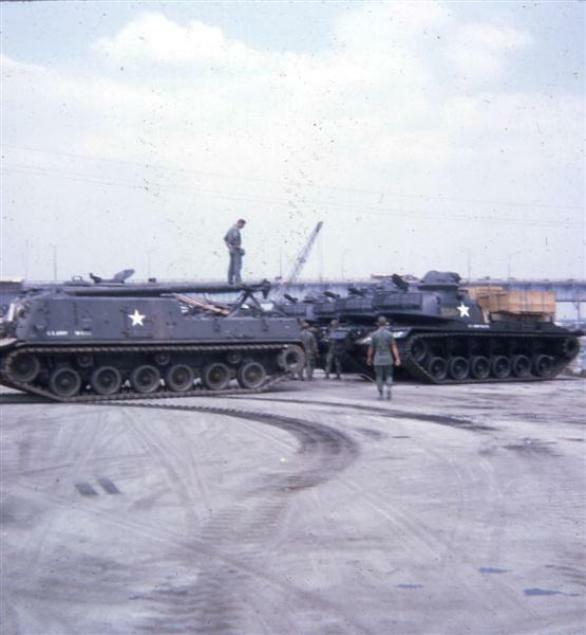 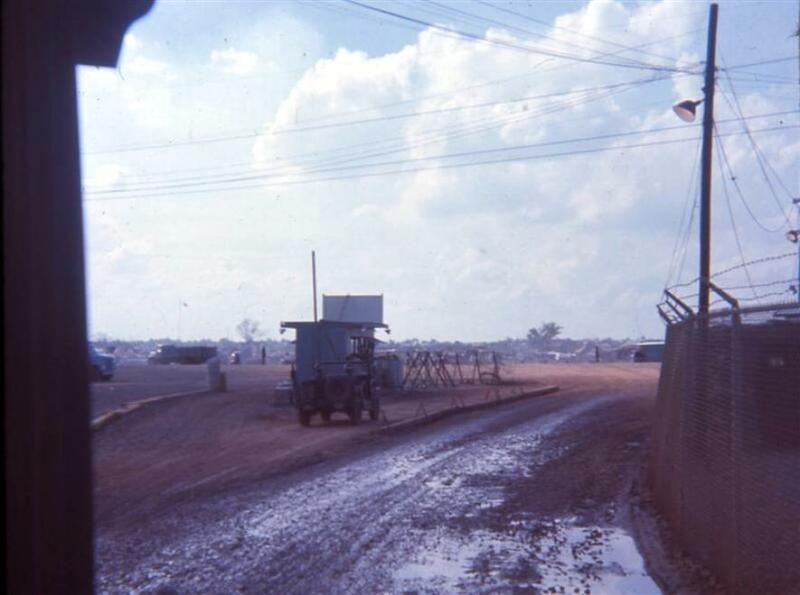 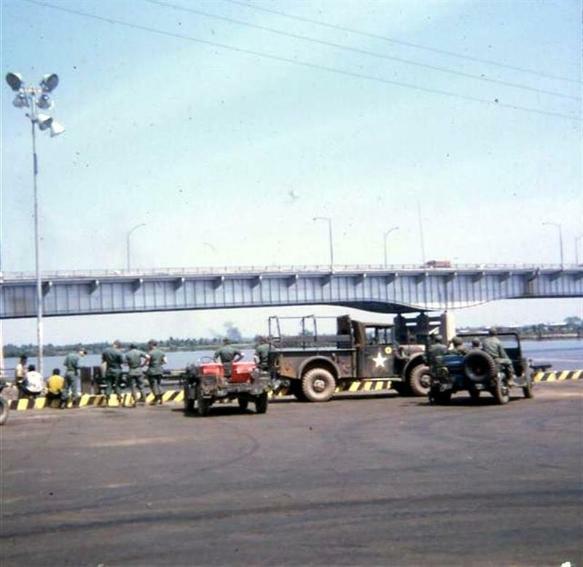 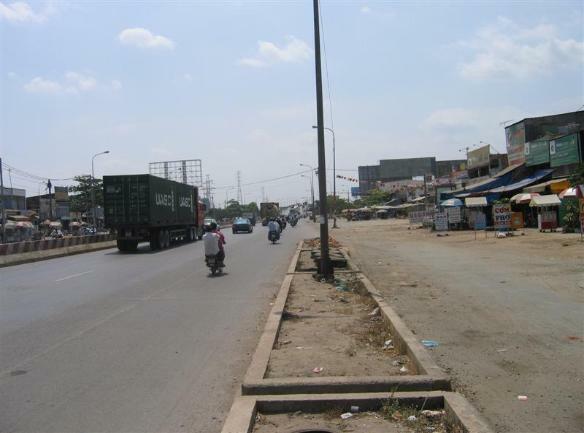 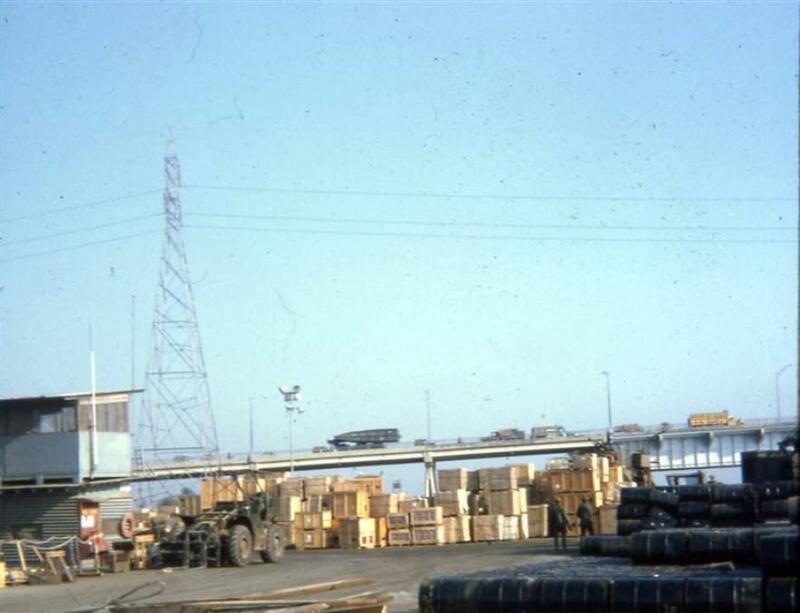 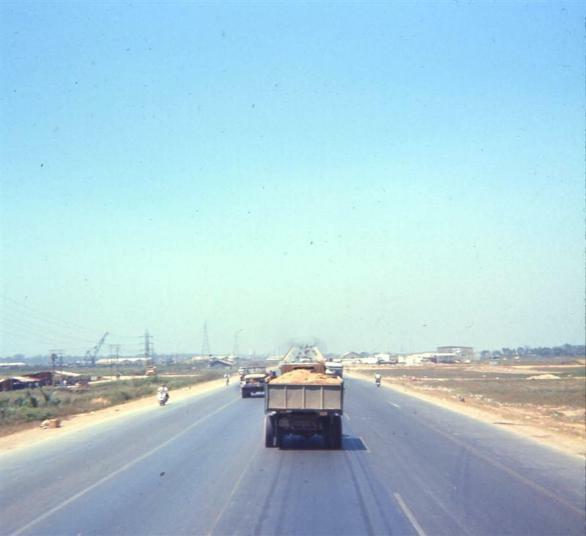 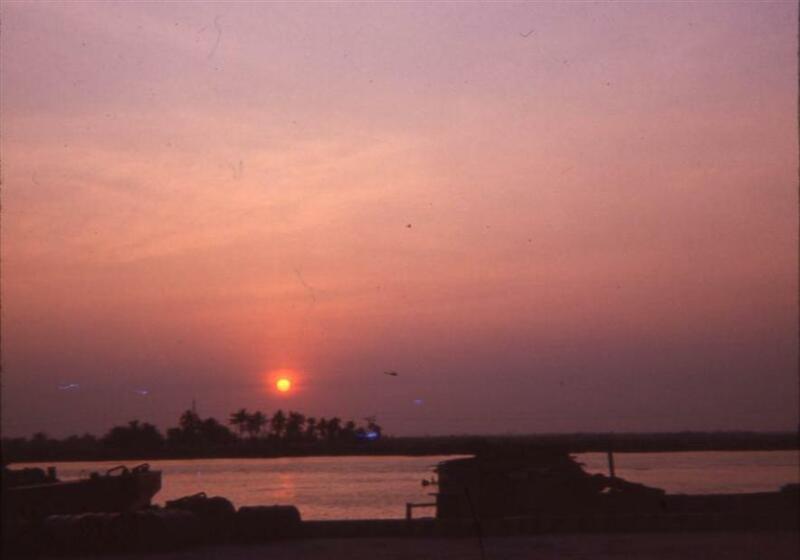 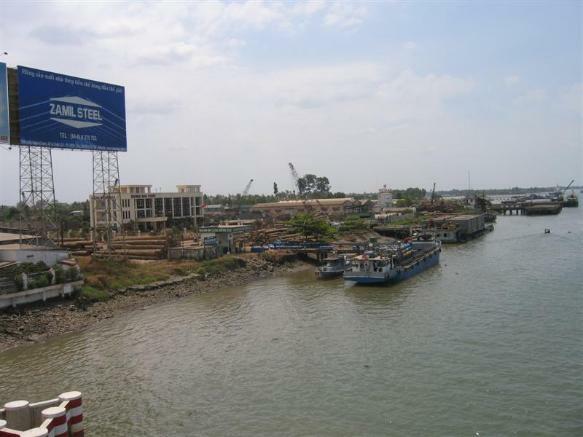 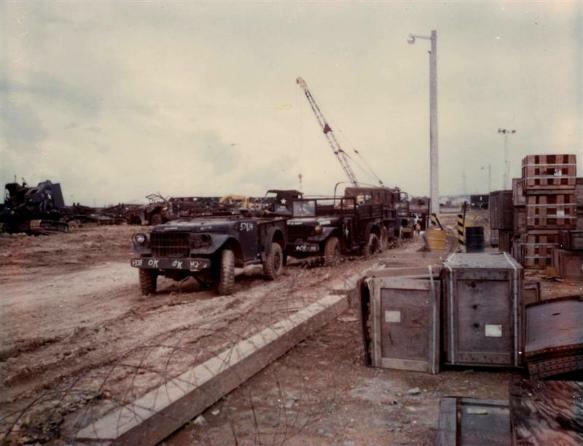 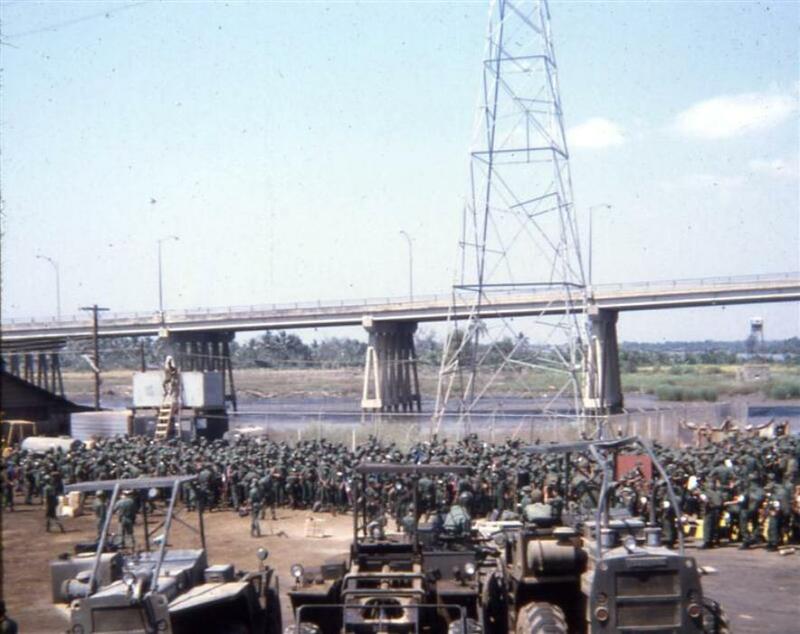 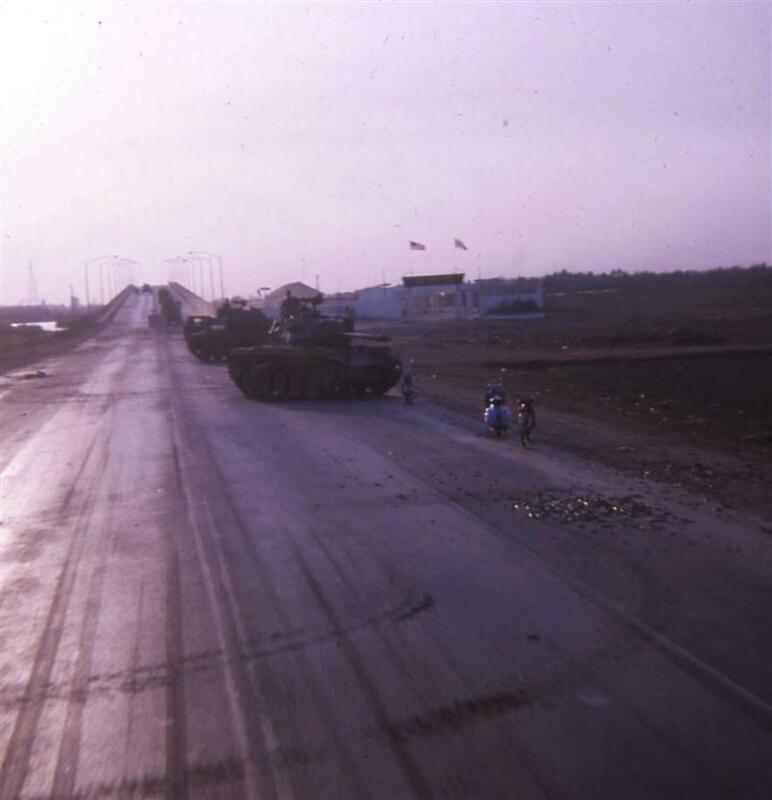 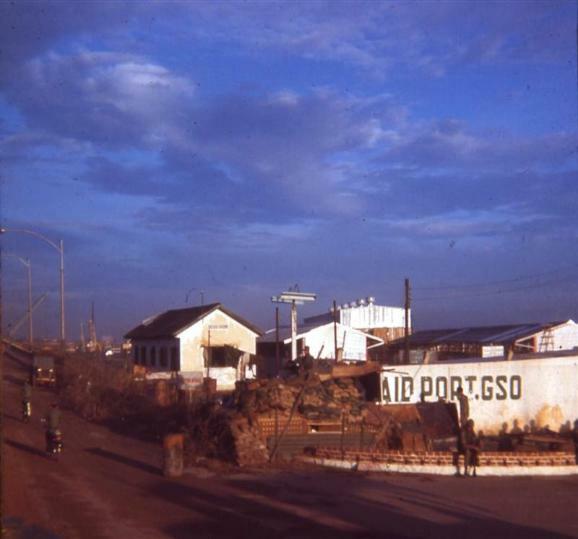 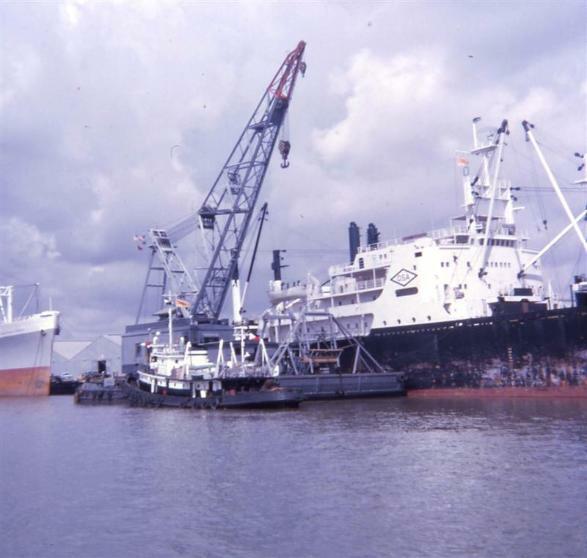 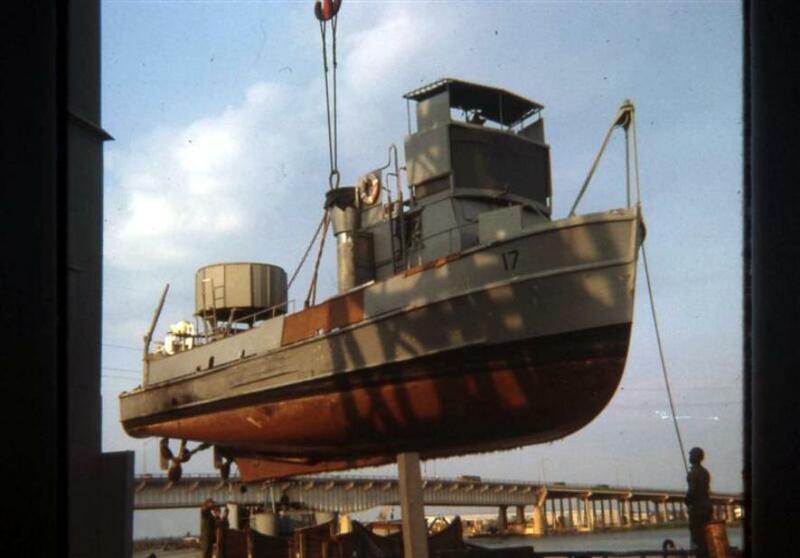 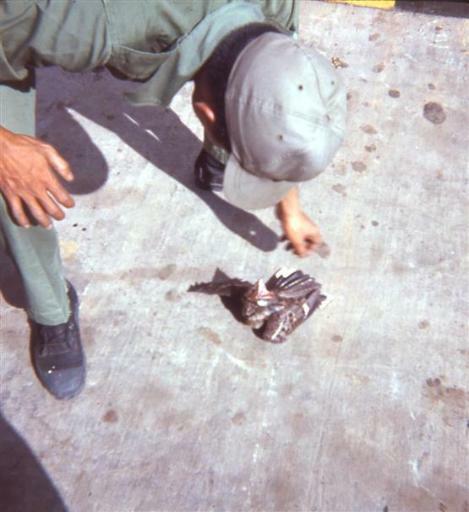 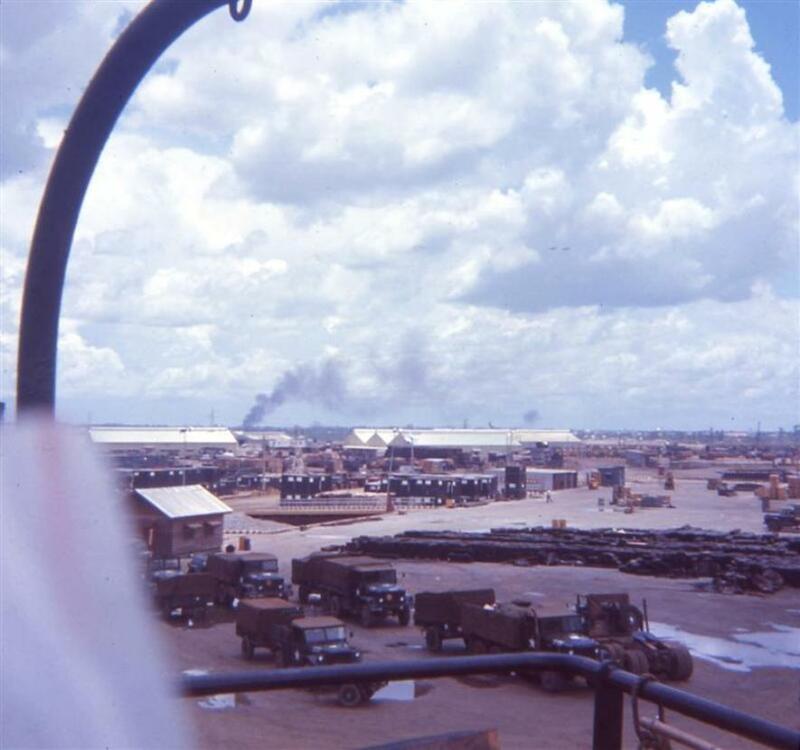 I worked at gate 9 and gate 3 at the Saigon Port for both extensions and was discharged from the Army in December 1969. 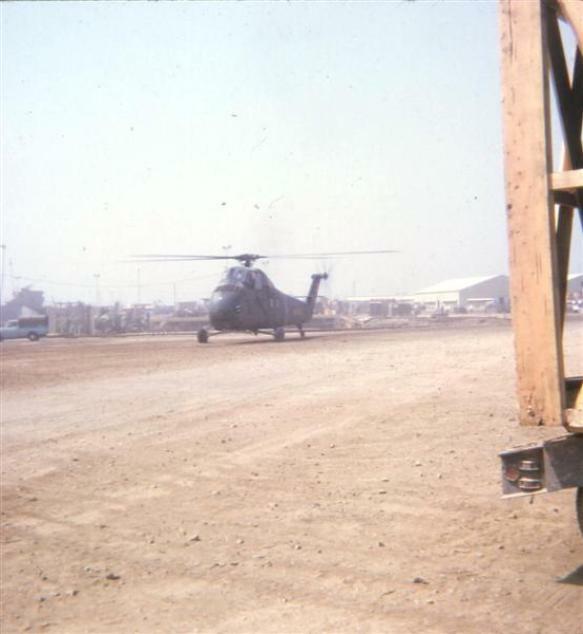 1968. 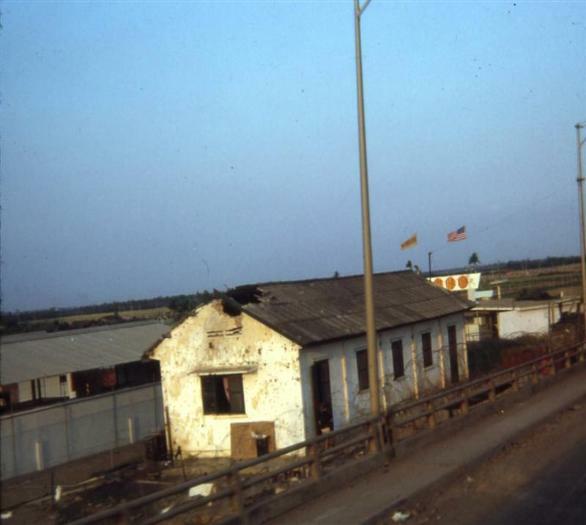 At that time, there was no road with street lamps between the two buildings or the new entrance, which was cut in under the bridge. 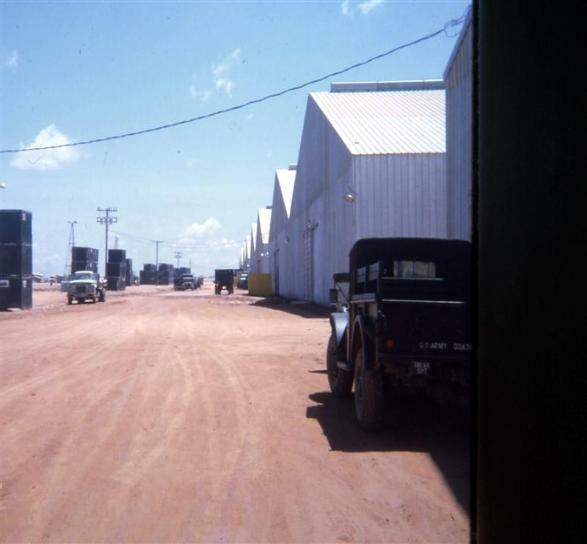 Sure looks different than when I was there. 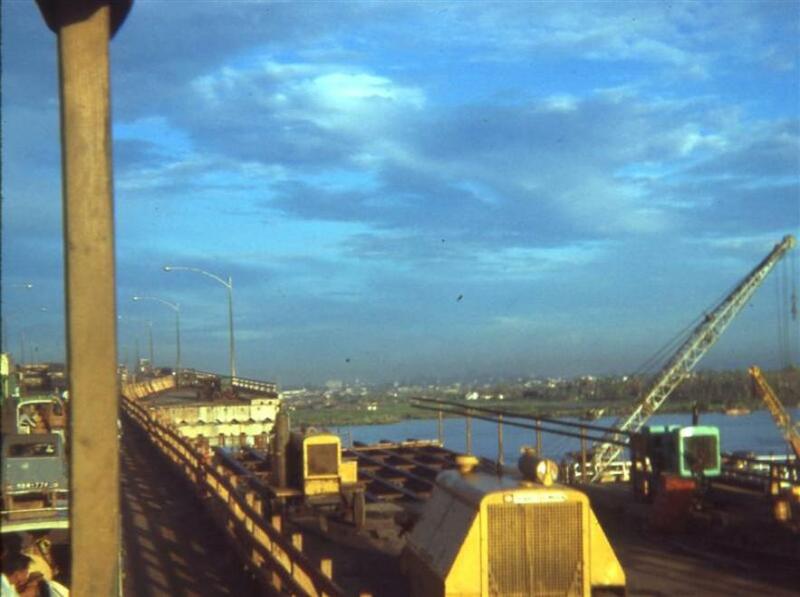 Right Photo - Another great photo taken from the bridge. 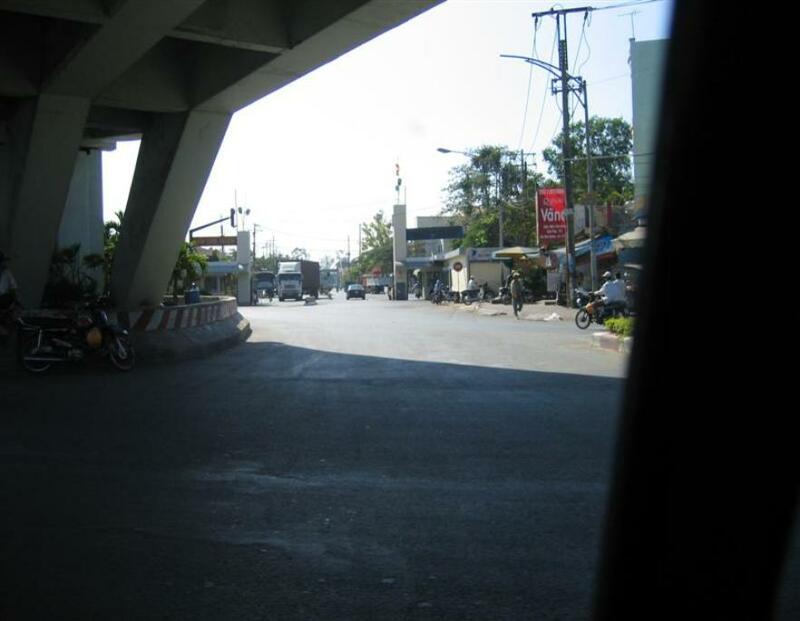 the same location, one on the overpass and one under the overpass. 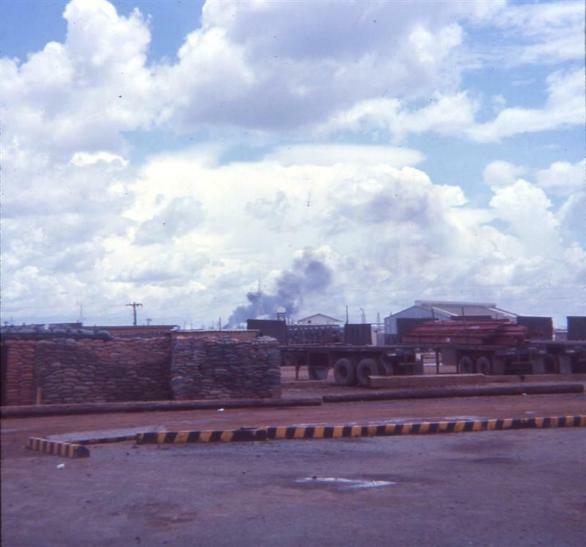 March 2005 - The Thu Duc water treatment plant on 1A still stands. 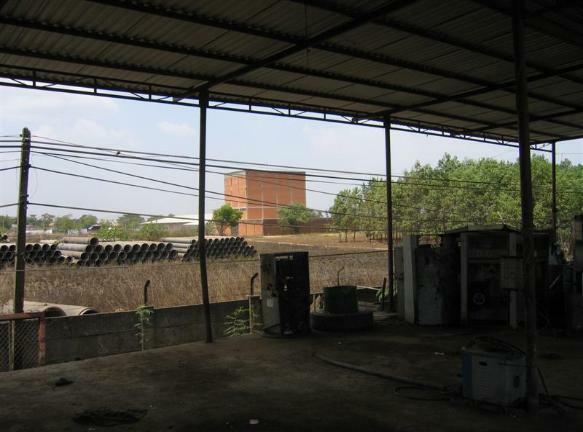 March 2005 - Inside The Grounds Of The Thu Duc Water Treatment Plant. 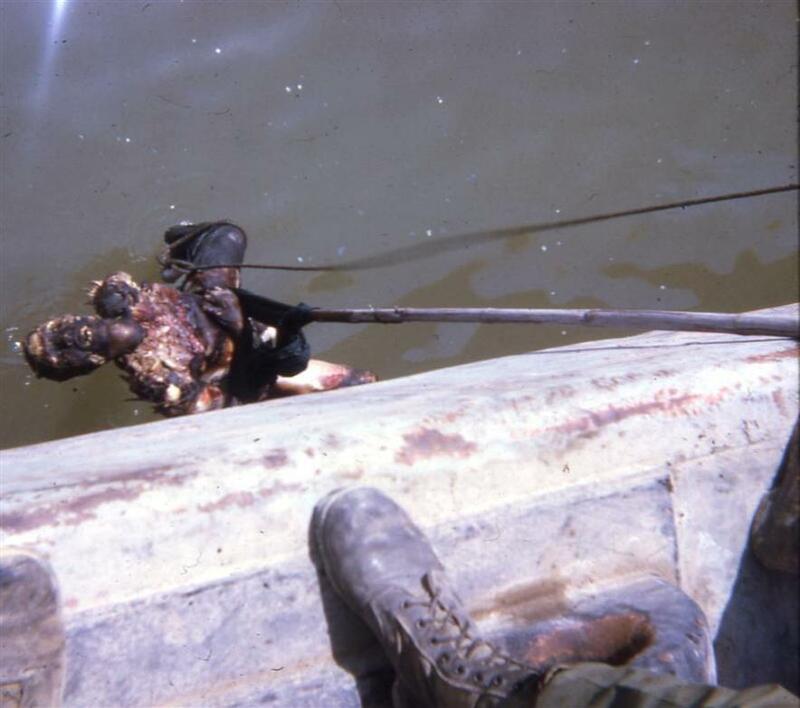 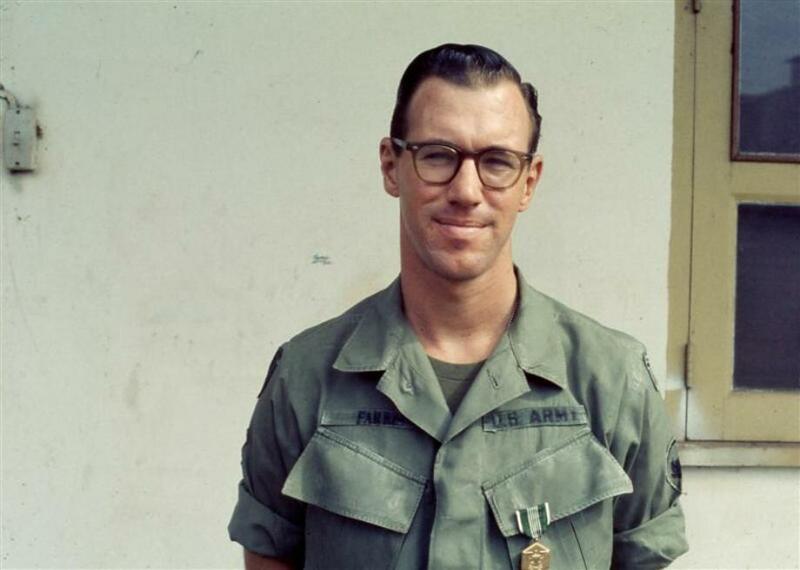 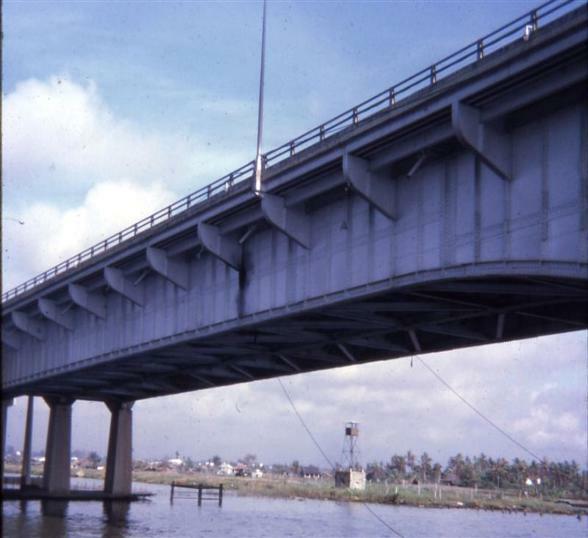 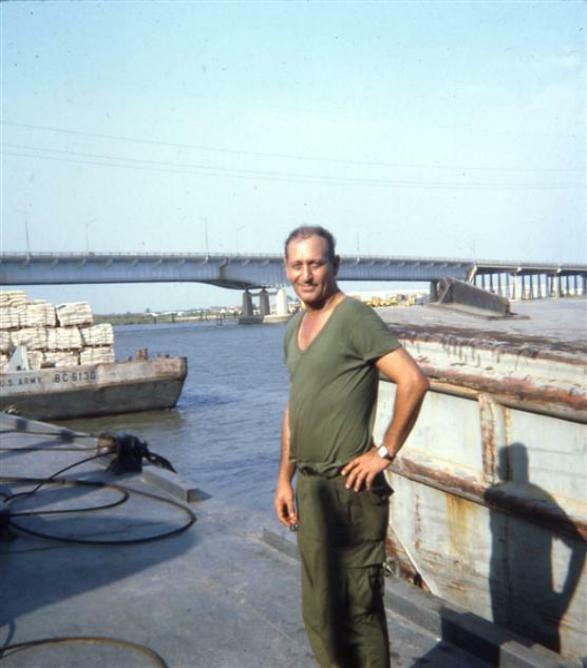 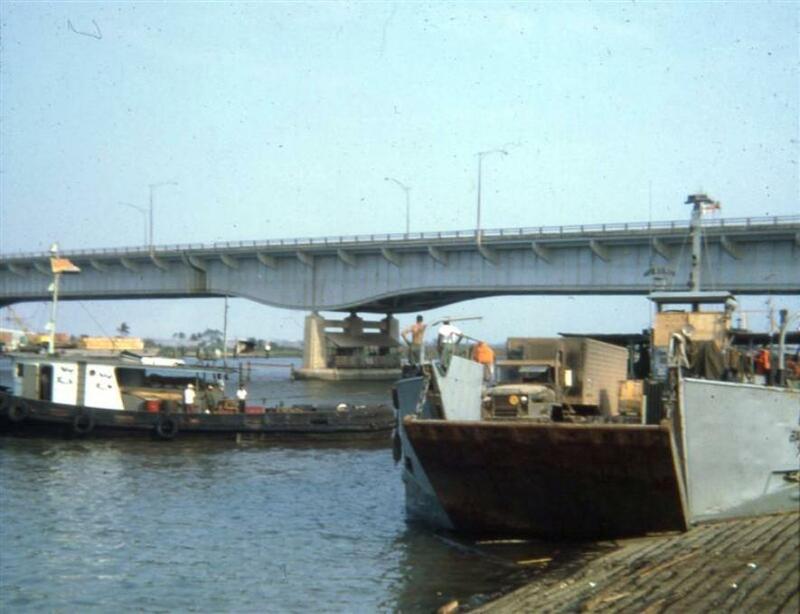 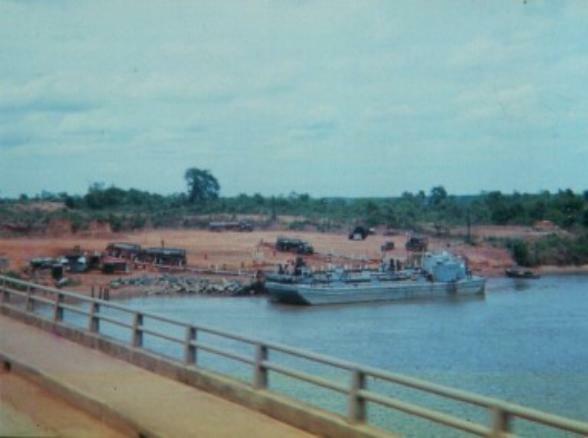 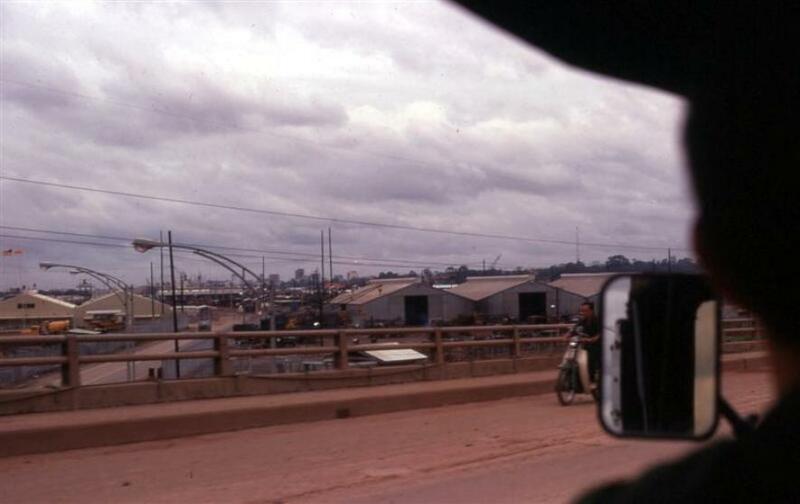 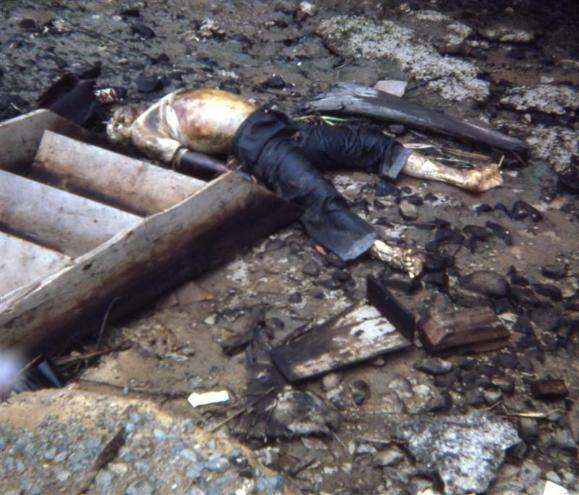 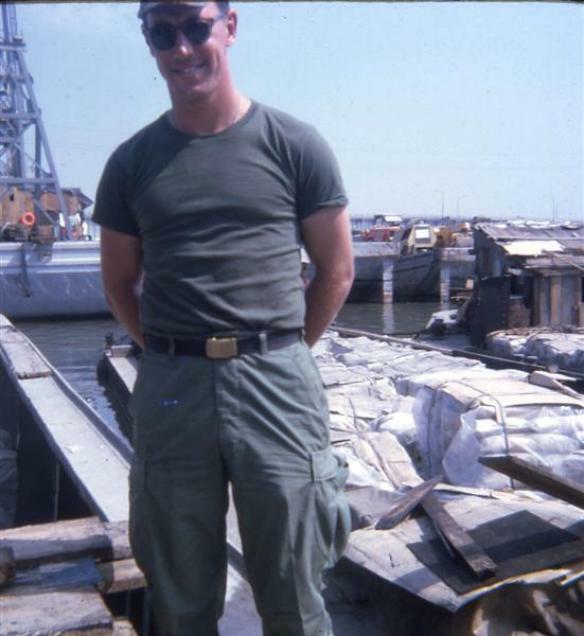 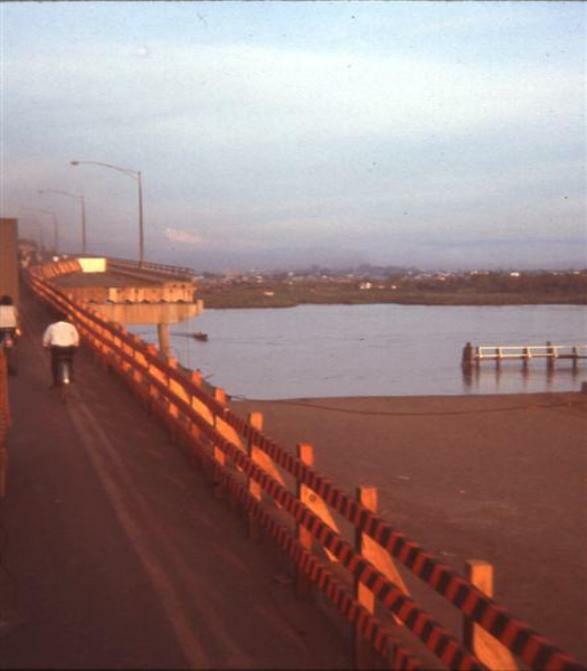 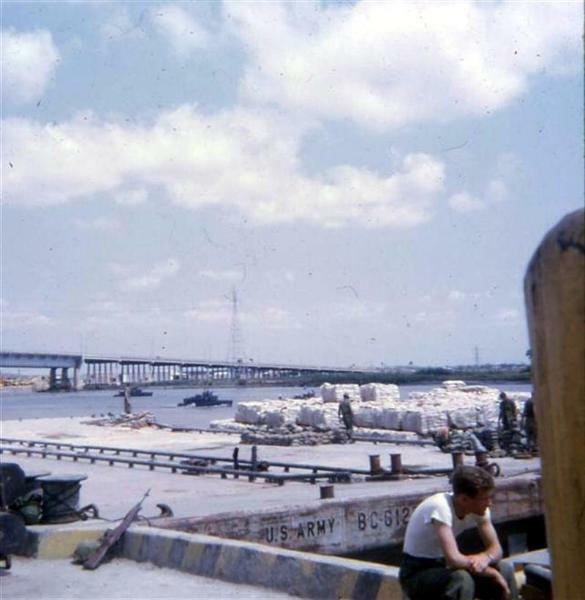 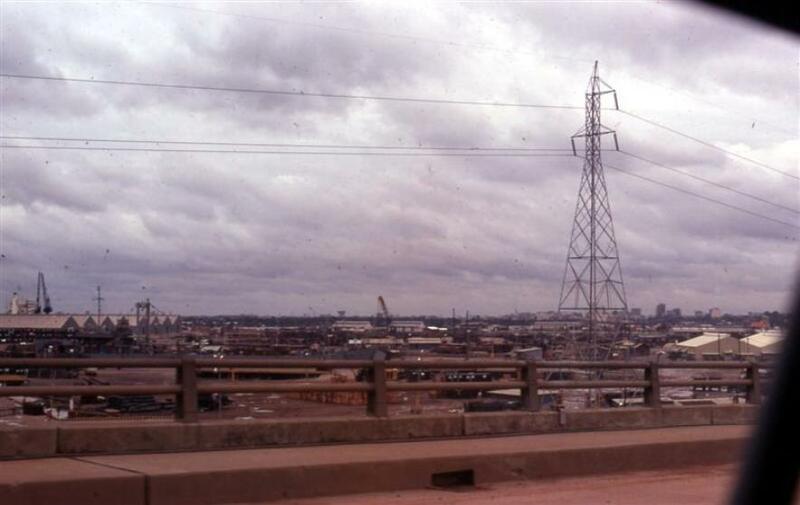 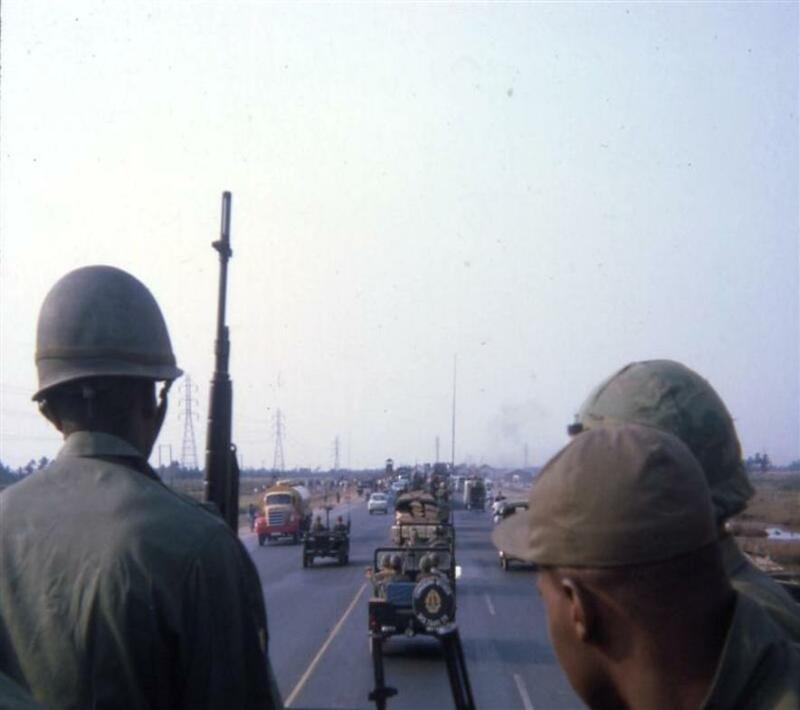 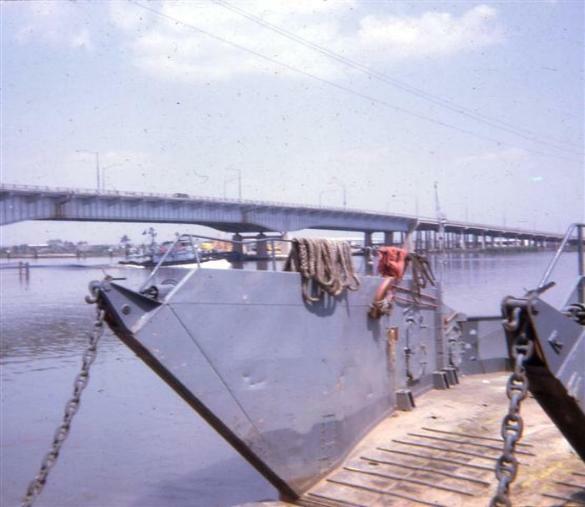 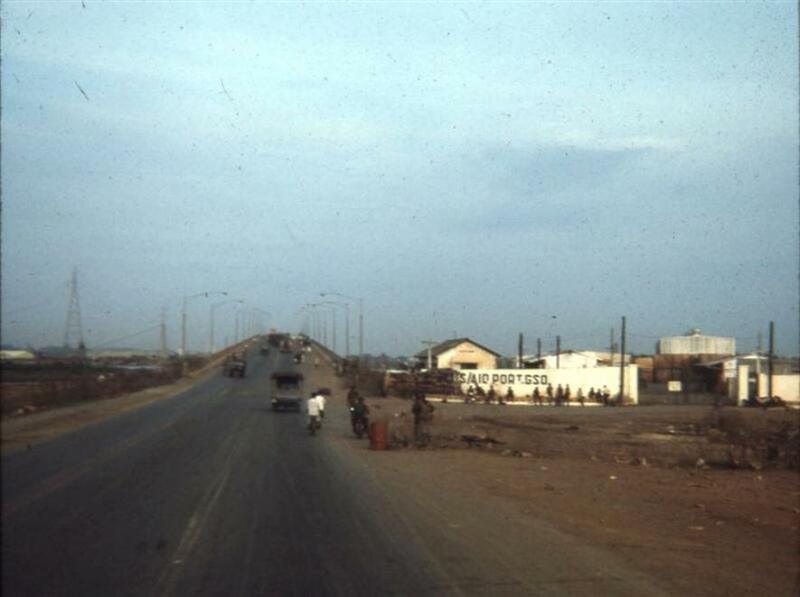 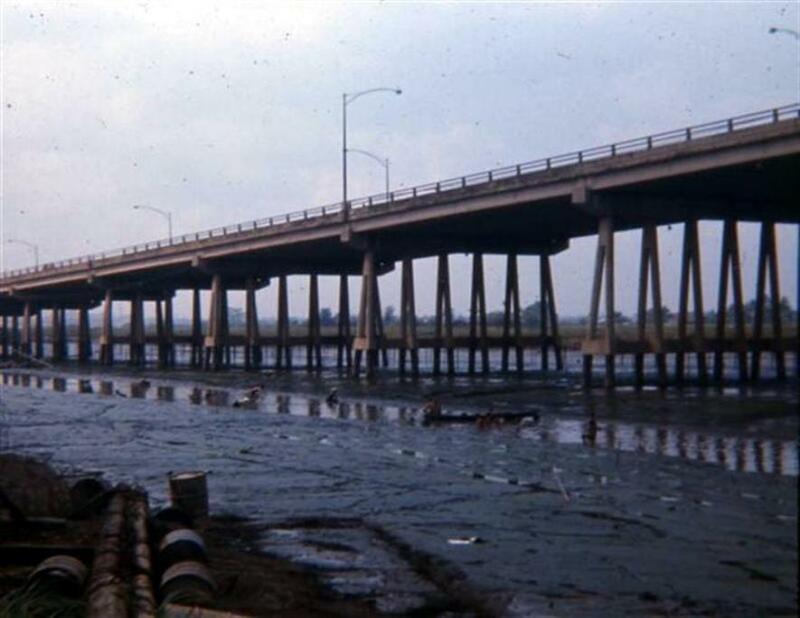 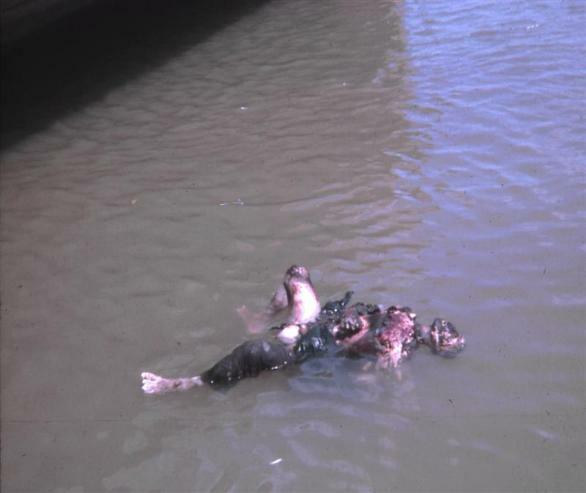 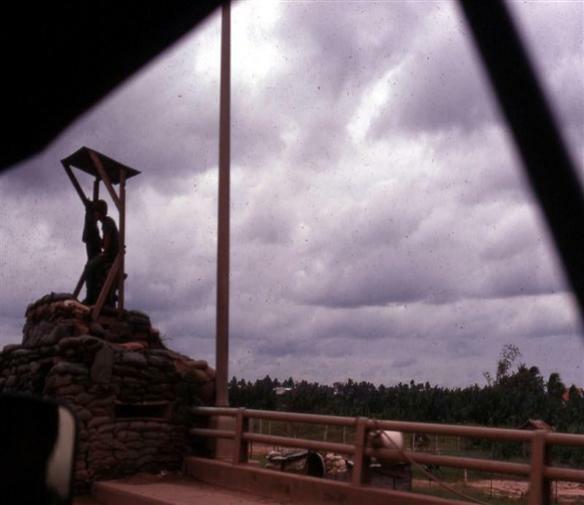 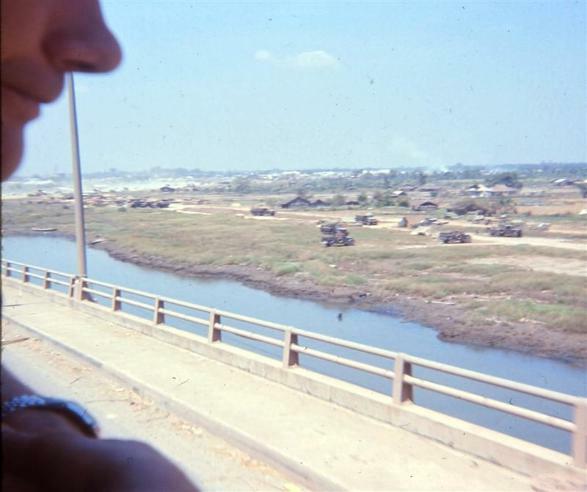 Ronald Peters, also on his photo page 6, in late 1966 at almost the same location on the bridge as Greg's to the left.